Built to contract 12829, she was delivered to No. 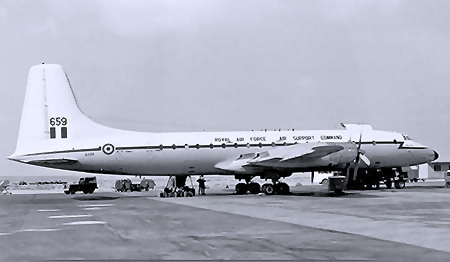 511 Squadron RAF Transport Command on 04 March 1960 and named ‘Polaris’, serialled XL659. Later she was operated within the Britannia pool at RAF Lyneham with both 99 and 511 Squadrons and later still at RAF Brize Norton. She was withdrawn from military service on 14 May 1975 and ferried to RAF St Athan for storage. A total of 19 052 hours were flown and 8054 landings made during her service with the RAF. 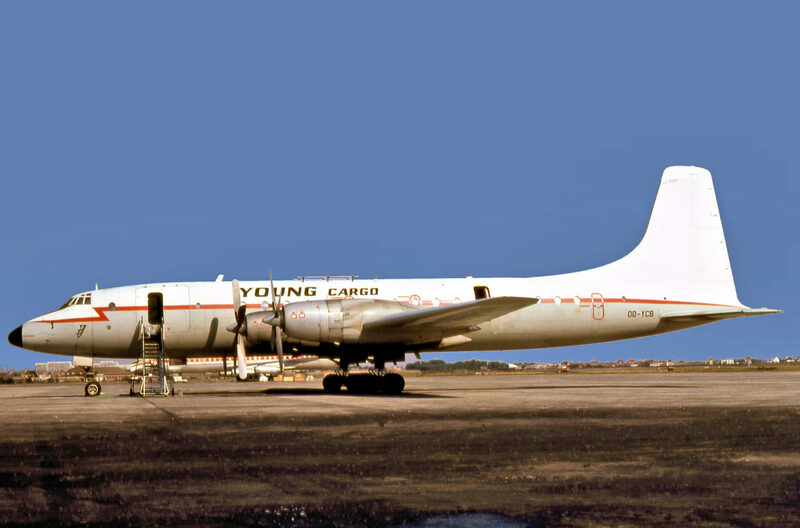 Purchased by Young Air Cargo of Belgium, XL659 was flown to Stansted Airport on 05 September 1975 and registered 00-YCB two weeks later. In the colours of Young Cargo and wearing a revised red cheatline with all RAF insignia removed, she first appeared outside the hanger on 12 January 1976. March 1976 saw OO-YCB wearing ‘In Co-operation with Liberia World Airlines’ stickers. Flown to Ostend, Belgium in late August 1976, OO-YCB was used as a source of spares for Young’s other Britannias. OO-YCB was scrapped at Ostend in December 1977 after a total of 19 601 flight hours and 8245 landings.